I proudly announce that I have discovered a company providing the delivery of meals from a wide choice of restaurants in Prague that don’t normally deliver. So if you fancy Greek or Lebanese? You name it, they deliver. 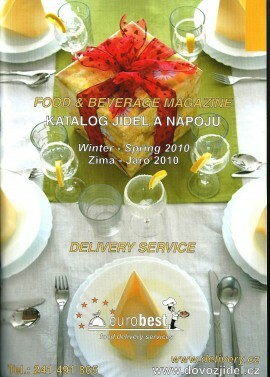 The catalogue is in English and lists dishes from carefully chosen restaurants to provide you with anything that you may crave. You just phone your order and in a maximum of 60 minutes, they will deliver. See below for which restaurants are listed. On my first attempt to call they didn’t pick up and the call ended with a fax tone. I was soooo disappointed. But I tried again in 5 min and it worked. The men taking the order explained to me they have just one phone for the orders and you literary have to try until you can through. I was just unlucky. They do take orders in English but I am a little bit worried abut the codes you have to tell them. 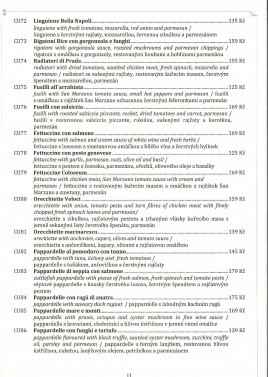 Every meau from listed restaurant has a unique code you use when ordering. here you can order online. The pages have an English version and will guide you thought just fine. This I haven’t tried so if you have then let us know how it went. Still I think the best way is to order is via their catalogue and have it pinned up at home just like we have. I have noticed that the web pages were not updated and it listed restaurants that no longer delivered.